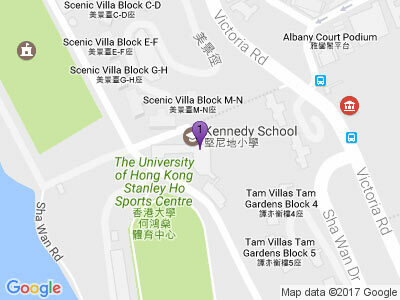 Kennedy School is part of the English Schools Foundation (ESF), Hong Kong’s largest provider of English-medium international education. ESF’s integrated network of 22 schools and comprehensive programme of after-school activities help to bring out the best in every student through a personalised approach to learning and by inspiring curious minds. Kennedy School is a 5 form entry primary school. We follow the IB PYP Curriculum providing an outstanding education to 900 students representing a diverse range of nationalities. Kennedy provides a modern liberal international-style education to all of its students. Besides the usual curriculum subject areas, all children receive a daily Chinese lesson (Mandarin). Standards and expectations at Kennedy School are high. The curriculum offered is aligned to the International Baccalaureate’s Primary Years Programme philosophy and framework. This involves an inquiry-based, investigative style of teaching and learning alongside a balanced delivery of core skills in literacy and numeracy. The teaching staff are well qualified, experienced and work closely with colleagues within Kennedy School and across other ESF schools. Staff-pupil relationships are excellent and are based on a strong sense of mutual respect. Central to the life of the school, is a positive community spirit and the strong partnerships with parents. Parents are viewed as partners in school life at Kennedy School. Kennedy School is seeking to appoint a Teacher of Chinese starting August 2019. The position will be a full-time two years contract, renewable by mutual consent. • Bachelor Degree/Full Professional teaching qualification. • More than 2 years’ teaching experience at international schools is desirable. • Knowledge of English is a prerequisite. Step 3: Check the box next to the job(s) that you wish to apply for and click “Apply & Continue”. Personal data provided by job applicants will be used strictly in accordance with the ESF’s Personal Data Policy, a copy of which will be provided immediately upon request.